For three days in June of 1981, a movie director, a hip hop scenester and a drummer met in Blank Tapes studios in Manhattan and created the soundtrack to the most iconic hip hop movie in history. Phillip Mlynar tells the story. For three days in June of 1981, a movie director, a hip hop scenester and a drummer met in Blank Tapes studios in Manhattan and created the soundtrack to the most iconic hip hop movie in history. 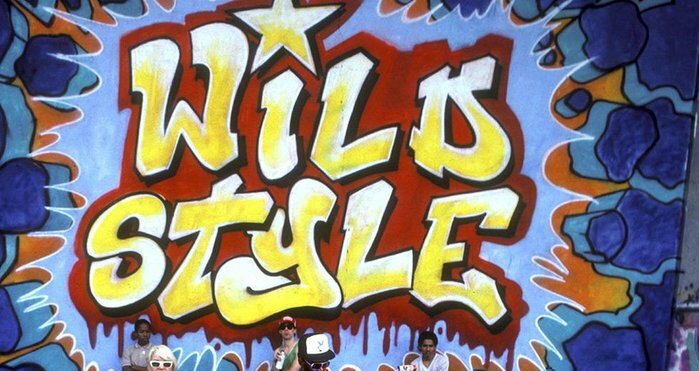 Named Wild Style, the flick was a collaboration between the aspiring filmmaker Charlie Ahearn and Fred Brathwaite (known around the downtown scene as Fab 5 Freddy); after a conversation at a Times Square show, Ahearn recalls they decided to “bring the hip hop world and the graffiti world together into focus” on the big screen. As a musical curveball, Ahearn proposed what he looks back on as a “ridiculous” idea: Instead of utilizing the popular soul and funk breaks that DJs like Grand Wizard Theodore and Grandmaster Flash were spinning at parties, they would create their own instrumental percussive grooves to score the movie. To that end, they drafted in the talents of Lenny Ferraro (sometimes known as Ferrari), a drummer playing on the punk circuit who had originally cut his teeth backing up Aretha Franklin and Jerry Butler. 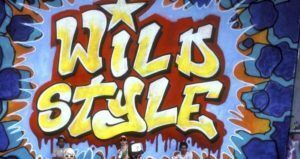 The outcome of those studio sessions became known as the Wild Style breakbeats – a series of 13 short instrumentals that are now some of hip hop’s most revered and mysterious recordings. Taking a cue from the film’s mix of “documentary and narrative,” Ahearn told Brathwaite of his idea to engineer a totally new set of breaks that would sound like they were culled from the hidden recesses of a crate-digging DJ’s collection. While Ahearn and Brathwaite were busily plotting Wild Style, the Pittsburgh-born drummer Ferraro had moved to New York City and began living in an East Village apartment with his childhood friend the artist Henry Benvenuti and a female singer who’d soon join Kid Creole And The Coconuts. Despite his sterling R&B roots, Ferraro found himself playing in upwards of 15 bands a week as he floated around the New York punk scene in a bid to pay his share of the rent. Despite the ensuing ubiquity of “Down by Law,” Ahearn admits he was left disappointed at the reaction. “I thought there were at least four other songs that were really interesting,” he says. Instead, barely half of the breaks were eventually used to soundtrack the DJing, MCing and breaking scenes in Wild Style, although those segments of the movie featuring Charlie Chase and Grandmixer D.ST have since taken up a hallowed place in the annals of hip hop. Ahearn and Brathwaite’s plan to fabricate brand new breaks might have seemed odd at the time, but the soundtrack quickly gained a mystique. Where did they come from? Which artists originally recorded them? Where could they be bought? “I think people got confused and thought they were some hidden breakbeats no one knew about,” recalls Ahearn. “They were so hard to find no one knew where they came from.” The release’s white label status helped add to the allure: “In one way you could see it as an ironic statement but it wasn’t ironic at all – that is what records looked like when you pressed them up and didn’t have time to create a label,” says Ahearn. For the ensuing three decades, the speculation about the origin of the breaks and their scarcity has cast them as a crate digger’s holy grail. (Ahearn says he’s received many offers to purchase copies from his stock of three original pressings, but declined to name a figure.) Now the veil of obfuscation has been lifted with a re-release of the breaks via Kenny Dope’s Kay-Dee label. “I was always intrigued by the breaks,” says Kenny. “Even when some bootlegs appeared over the years, like the Simon Harris one [on Music of Life], they still had this mystery about them.” He adds that while he doesn’t own an original copy himself, he did come across one in the Sound Library record store but it was “off limits” and not for sale. Very fine post, I definitely love this website, keep on it. I am regularly to blogging and i genuinely appreciate your content. your site and keep checking for new tips. The next time I read a site, I expect that it doesnt disappoint me as much as this one. I actually thought youd have something fascinating to say.